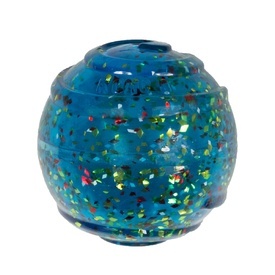 Make playtime for your dog extra sparkly and fun with the KONG Squeezz Confetti Ball! 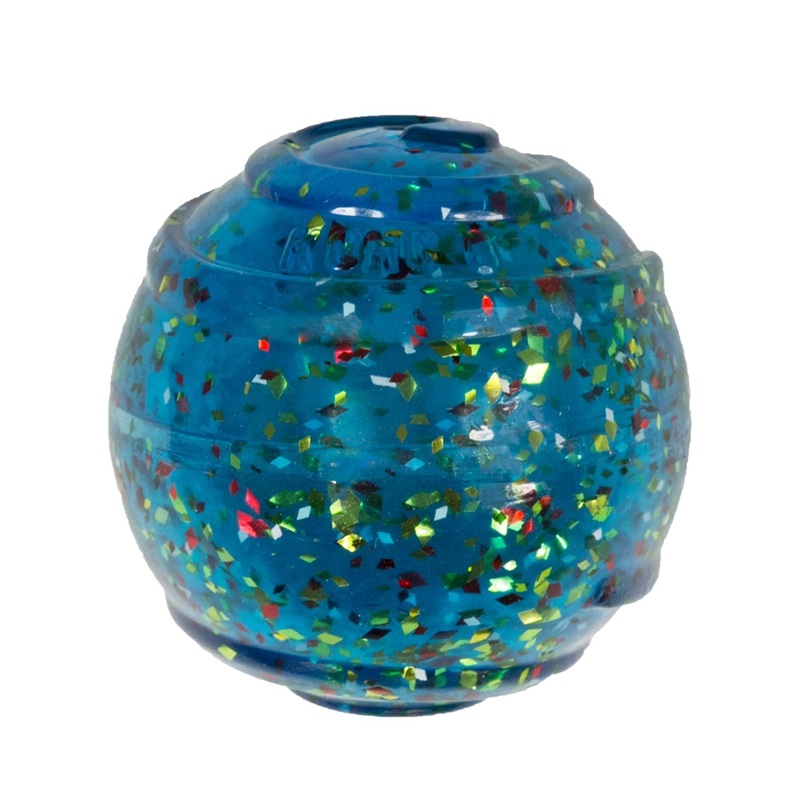 With a vibrant and delightful look, the Squeezz Confetti Ball brings all kinds of fun to your pet! This bouncy ball is perfect for playing fetch and catch with your dog to help them stay active and keep your pet happy and entertained. 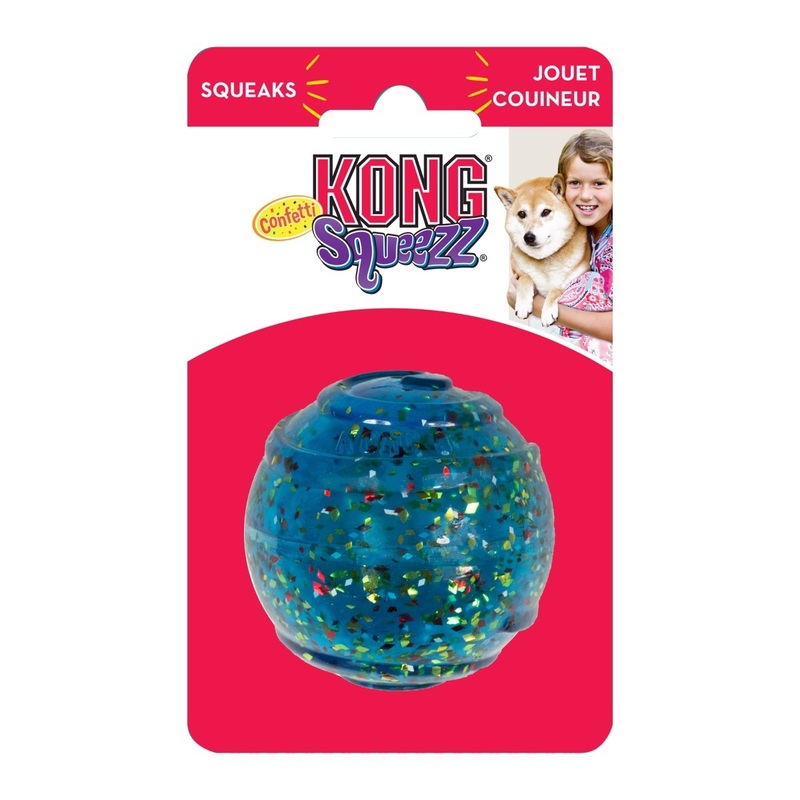 Made with extra-tough KONG K90 material, this ball is meant to last many fun times with your pet and can withstand some rough play and strong canine teeth. The squeaker inside adds to the fun and continues squeaking even if it gets punctured. Take your dog out for plenty of sparkling ball games with the KONG Squeezz Confetti Ball!